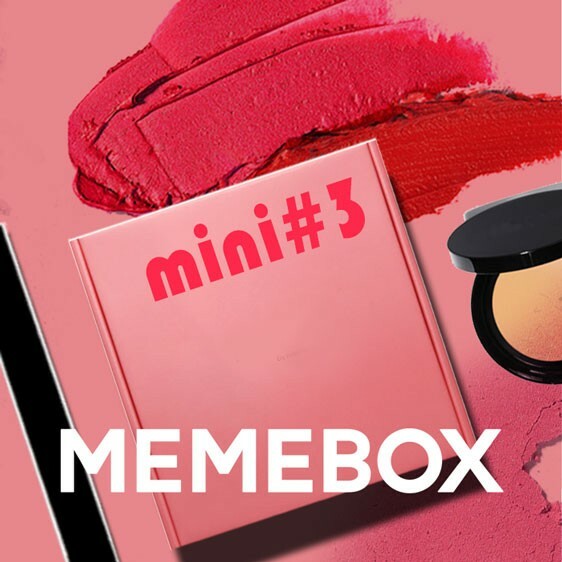 Have you heard of Memebox yet? The ladies on MakeupTalk.com have been talking for a few months now about a Korean beauty company called Memebox. The Memeboxes are filled with various Korean beauty brand such as Etude House, Dr. Jart+, Missha and other known brands from Korea! There are several different boxes - Superbox, Mini Box, Naked Box and Lucky Box. The prices range from $15 and go up with some having free shipping and others having a flat rate fee depending on where you live. These boxes are international but be aware that they may be restrictions in your country so check out Memebox's website for more information. "Memebox Global"- Their classic box. They cost about $23.99 (+shipping) and are usually the most popular Filled with 4-10 products (usually it's around 6-8) that are full size or deluxe sample size. These boxes are always a good bet if you're unsure! Luckybox - This is a box that is filled with products from past memeboxes. (the ones above) This is a great option if you're new to memebox and want to try out some of the products from the past boxes. The Luckybox is usually filled with more products as well. Superbox - If you see the word "Superbox" in the title of the box, that means it's all full size products. They are sometimes brand-specific, and are usually the most expensive. They also have the least amount of product due to the fact that they're all full size. Special Edition Boxes - These boxes will just be named "Memebox from Nature" or "Mask Edition," and these are built similarly to their classes Memeboxes, but focused around a specific type of product or theme. Naked Box - These are boxes that are similar to the Memebox Global boxes, but you can see everything that will be included in the box before you purchase. These also don't have a specific shipping date, but ship 2-3 days after purchase. These DO tend to have less product in them, though. Of course there are the Mini Box which according to Memebox.com are "Only with $15 including shipping, you will get your hands on to 3~6 beauty products (deluxe & pouch samples) from Korea." Unlike traditional beauty box subscriptions, Memebox is NOT a subscription service and so when these boxes are released they typically sell out fast. 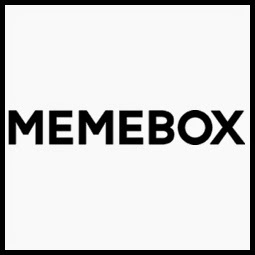 Memebox also releases several boxes at a time and some times those boxes are temporarily discounted up to $10! Memebox has recently become a sponsor for MakeupTalk.com and as such the staff were given a credit to try any of their boxes or products. I recently ordered the Mini Box #3 for $15. This has not shipped yet, which goes to a different point I'll talk about below, and I have no idea what's inside but I'm super excited. Shipping. From what I've read these boxes ship from Korea and when you order a box that just came out that box may not ship from Korea for several weeks. Some of the Memebox pages do contain a shipping date but some do not. For some people this may be an issue since people, including myself, are use to getting our products within days thanks to Amazon Prime and ShopRunner so Memebox may not be for you if you want your items within a week or so, so take that into consideration. One of the great benefits of shopping with Memebox is that all of our products are sourced, packaged, and shipped, directly from Korea straight to your doorsteps. There is a couple of reasons behind this. First, we want to make sure that you get the widest choice of products, and that means not limiting ourselves to a small warehouse outside of Korea. Secondly, beauty trends evolve incredibly fast, and shipping directly from Korea allows us to keep you updated with current trends. As a result, regular shipping does take between 15 to 25 business days. Express shipping options are available as well, and take 3 to 5 business days. Memebox is committed to bringing you only the best of everything - we’ll make sure it’s worth the wait. Regarding affiliate links: I also just became a Memebox affiliate myself so I'm still learning their system. Someone asked me if there was a referral link, I said no but there was an affiliate link and after I signed up for the affiliate link I found out there was a referral link which seems to be their affiliate link so I signed up for it. I'm dying for my first box which I won't get until mid-June or the end of June, from my understanding, but from what I've seen on Youtube for Memebox reveals I'm excited for it! So have you tried Memebox yet? If so what are your thoughts?